The 16th President of our nation. The backdrop of the Civil War. 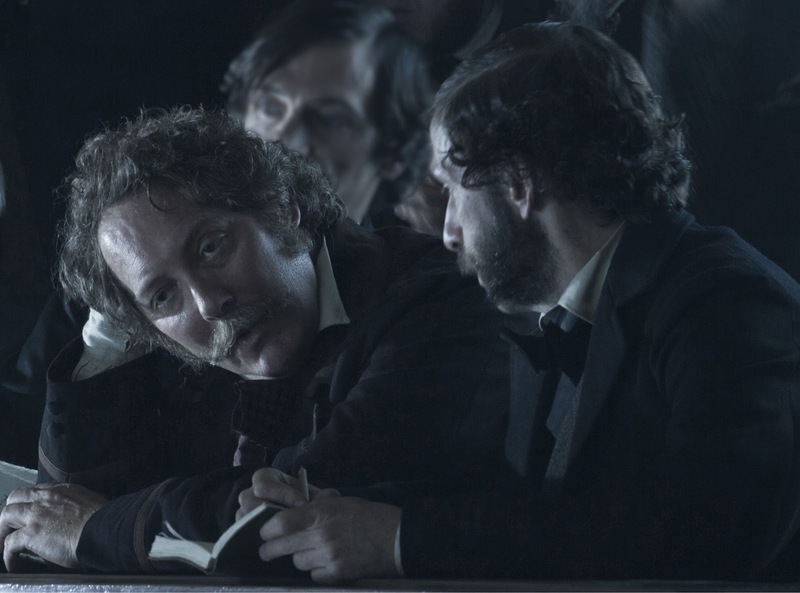 Lincoln exams the last 6 months of Lincoln's life as he tries to get the 13th Amendment passed. 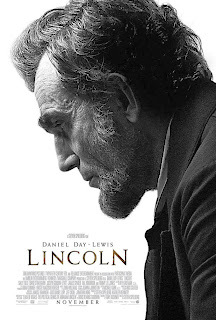 Steven Speilberg attempts to take us on this thought provoking journey into the Mind of Lincoln, during a time with the nation in such turmoil. While Spielberg is known for his grand movies something about this movie doesn't sit well. Daniel Day-Lewis stars at Lincoln and i must say the costumes and makeup are amazing here. I had to do a little wiki looking because Mary Todd is played by Sally Field. While she is absolutely bringing it in her role i didn't think she was that old. In the stunt casting we have Joseph Gordon-Levitt as Robert Lincoln, the eldest son. Tommy Lee Jones also stars as Thaddeus Stevens. the Republican Congressional leader, highly feared by many and an abolitionist. He also were's a terrible on purpose wig. The majority of the movie you see how Abraham and Mary fight, she feels she trapped him because she's a little unstable, history tells us she was institutionalized after his death. He has a great relationship with his son Tad, and he has a great deal of that common man feel. He may be present but he treats everyone else like they are on equal planes with him. Lincoln spends a lot of time at odds with his Secretary of State Seward (David Strathairn) since its becoming very clear that the war is going to end soon and if passing the amendment isn't needed or can derail the ending of the war. This movie tries to do too much. It looks great absolutely great and the scenes of congress fighting as they debate the war are pretty good but the hidden gem and the highlight for me was Bilboe. All of his scenes were gold. James Spader totally owned it in this movie and it was the saving grace. I found myself yawning for too much in the also 3 hours. Its a drama but is it gripping? Well maybe for about 90 minutes. I give this movie a Redbox. There's a limit to how long i can sit in a film and stay drawn it. So many movies are nearing that 3 hour mark and i can't for the life of me understand why. it works in some films and doesn't it others. The could have completely cut every single scene JGL was in and nobody would have noticed. This movie was about Abraham, Mary, Thaddeus and Bilboe.